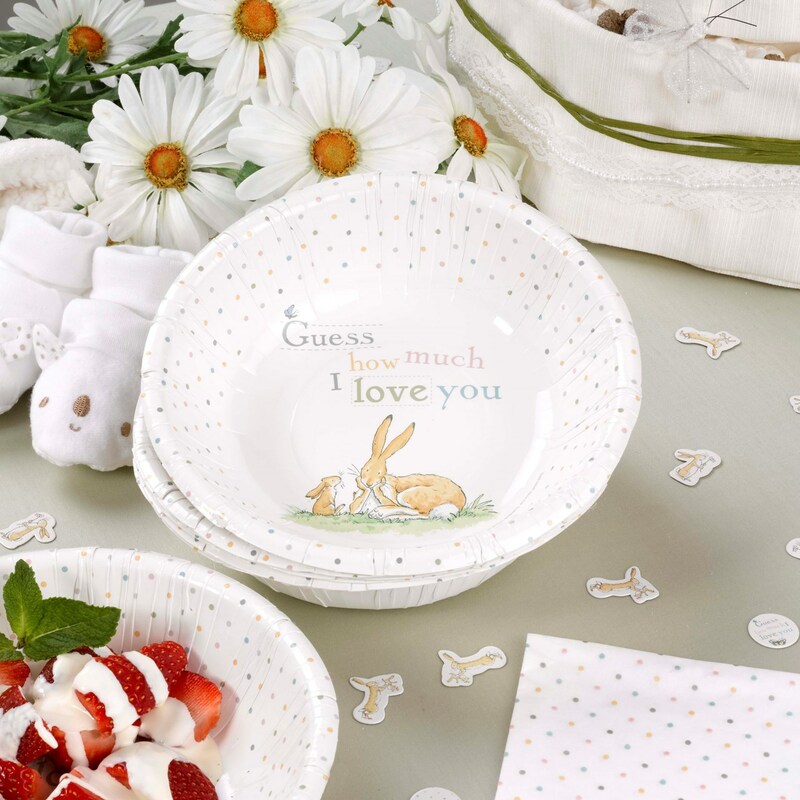 DescriptionThe lovely tale of a Nut Brown Hare and his little companion is brought to life in a range of party ware based on the bestselling ‘Guess How Much I Love You’, and includes these beautiful paper bowls. Each pack contains 8 Bowls. The lovely tale of a Nut Brown Hare and his little companion is brought to life in a range of party ware based on the bestselling ‘Guess How Much I Love You’, and includes these beautiful paper bowls. Each pack contains 8 Bowls.